The diabetic foot problems and podiatry. As a podiatrist, I see many patients with diabetes. 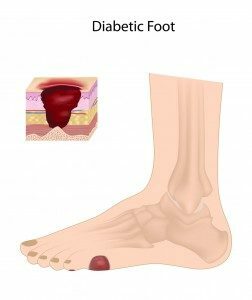 The diabetic foot can result in major disease of the foot and ankle and lower leg that can cause many problems that can result in loss of toes, part of their feet as well as their leg. Prevention of DM foot problems is a major part of being a podiatrist. 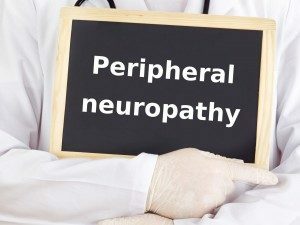 Diabetic foot problems can start out as a simple callus or undiagnosed pheripheral neuropathy. If the foot problem is not treated early it can result infections, bone infections (osteomyletis), and more complicated issues that could result in amputations. Early recognition of foot infections goes a long way toward treatment success. Most foot infections originate with the breakdown of the soft tissue envelope. This breakdown is mechanical. It is caused by the lack of normal protective sensation, which allows unrecognized trauma or micro trauma to cause tissue edema, inflammation and necrosis. See the list below for information on many diabetic foot problems that a podiatrist sees on a daily basis. Foot problems caused by diabetes must be treated by a specialized physician whom is trained on the subject. If an ulcer is the result of a pressure callus on the foot then there are many safe and effective ways to treat the problem. The number 1 reason that I see which causes foot problems in diabetics are poor shoe gear. Medicare and most insurances do offer a diabetic shoe program that provides financial assistance in the purchase and fitting of shoes to help prevent foot ulcers.